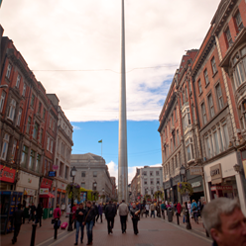 With AW16 in full swing, I’ve taken to the high street to pick my top 5 new-season trends – all on our doorstep here in #DublinTown. Considered a womenswear staple for a number of seasons, it’s finally time for the guys to garner some serious statement pieces in the form of a knockout jacket. With patchwork and embellishment taking centre stage, the key to nailing this trend is to let the appliqué do the talking. Block colours such as navy, khaki and classic black are the perfect palettes to choose from, with simple skinny jeans and a fine knit sweater acting as the ideal way to finish your ensemble. My top high street pick? 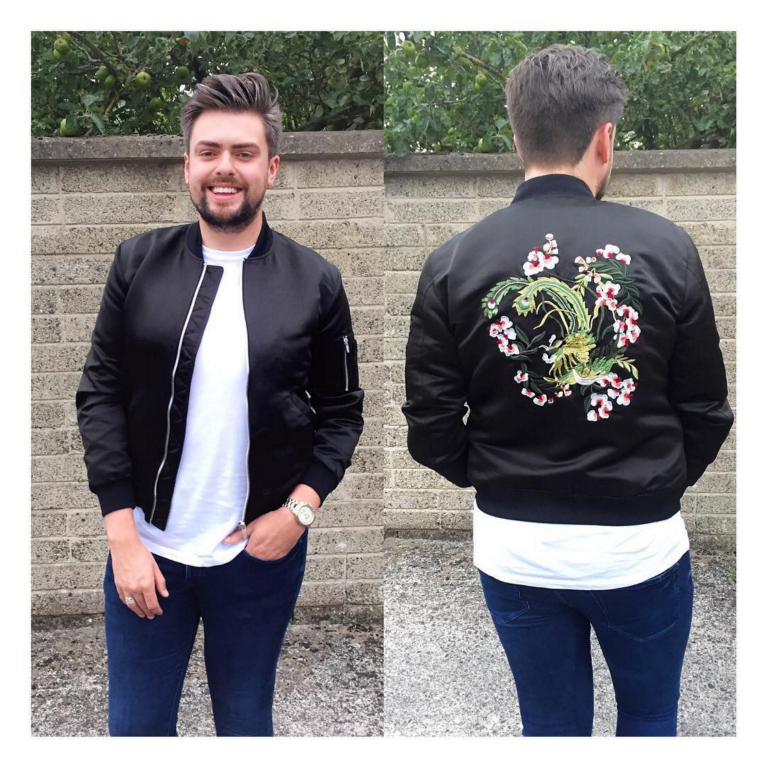 This Oriental-inspired bomber jacket from Zara, coming in at €69.95. Perfect for an original party look when the festive season dawns upon us! It’s all about textures when it comes to AW, and shearling is quite simply a menswear must have, not to mention the ultimate investment piece. Be it in the form of a chic aviation style jacket, or as a trim on your favourite autumnal accessory, this fabulous fabric will see you through seasons to come. Of course, don’t go too overboard on the shearling – a cheeky cuff and an accented collar and you’re good to go. 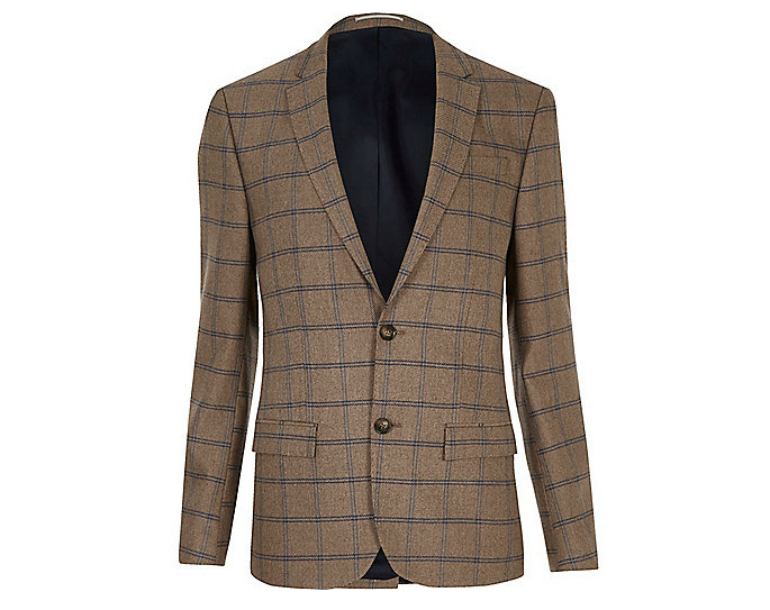 These River Island jackets (under €100) is the perfect way to nail the trend. 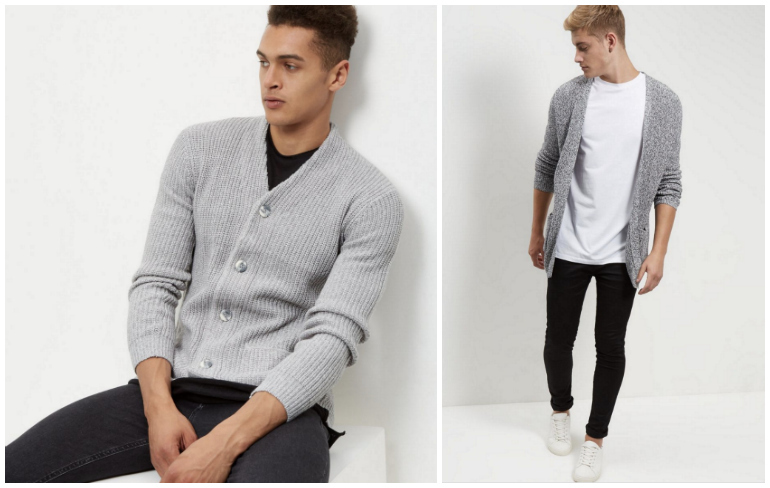 It’s been all about the waistcoats in recent years (thanks to Mr. McGregor), but this season sees a resurgence in a firm fashion favourite – the cardigan. Shawl neck collars and rich textures pave the way for embracing some granddad chic for AW16, with the cardigan offering a myriad of ensemble endeavours. Try yours layered up with a fabulous tweed blazer and some indigo jeans, or ease your way out of the warmer months with a plain white tee and soft chinos. These New Look numbers are on the money at just €31.99. Fear not fellas, I’m not suggesting a highland fling any time soon, but AW16 most definitely calls for a nod to the heritage haven that is tartan. Your best bet is to invest in a series of separates, the easiest way of which to do so is to pick up a three-piece suit that will lend itself to a series of looks. When pairing your perfect print with other pieces, keep things simple and remember your palette – we don’t want a mish-mash of menswear! River Island is really nailing its tailoring this season, so be sure to pop in for some chic tailoring and classic sartorial style. The iconic white sneaker has undergone many incarnations in its time, but recent seasons have seen the menswear must-have revert to a simpler form, much to the delight of sartorial staple-seekers such as yours truly. So, what makes the classic white trainer such a necessity? Quite simply – versatility. A biker jacket and black ripped jeans, or a classic wool blend suit with cuffed ankles, almost every ensemble can be given a contemporary edge with a subtle sneaker, even for formal events. I’m currently lusting over these Kurt Geiger beauties from Arnotts (€85), which boast the perfect shape and style. 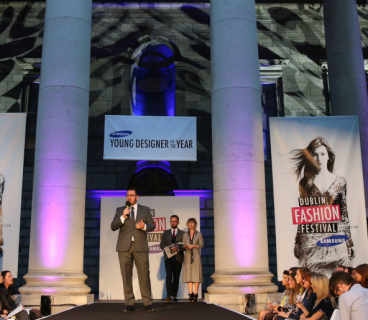 For more #DublinFashion updates, follow us on Instagram @DublinFashion_ !